Specially designed nickel-plated valves for the mobile industry. Useful in applications under severe water contact or washdown conditions. For the most part nickel plated valves can substitute for standard valves. Though the operating limits are a bit lower than our Yuken valves, these valves should work in most of your applications. 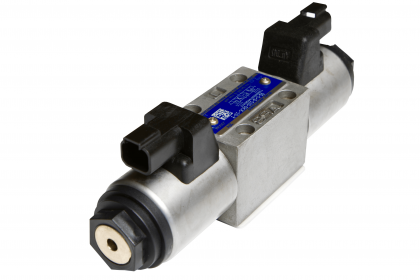 Introducing a new, versatile connector to easily make any size Yuken solenoid operated directional valve Deutsch connector compatible. The "DIN to Deutsch" connector can be used on any size valve and any standard 3-PIN DIN 43650 connector.